Driving Miss Daisy is a light comedy-drama genre of movie. It was released on December 13th 1989. It evoked a lot of emotion, because it focusses on Daisy’s life, she wants to be independent but will she eventually be? It was directed by the renowned director, Bruce Beresford. It was a successful movie because in 1990 on the 62nd Academy award it received many nomination about 9 nominations and it won 4 of the nomination, this included Daisy who was awarded the best actress. Jessica Tandy was onе of the nominees announced on February 14th and it was some kind of symbolic Valentine’s Day gift for her. You will be surprised that this movie began as a play in small theatres. 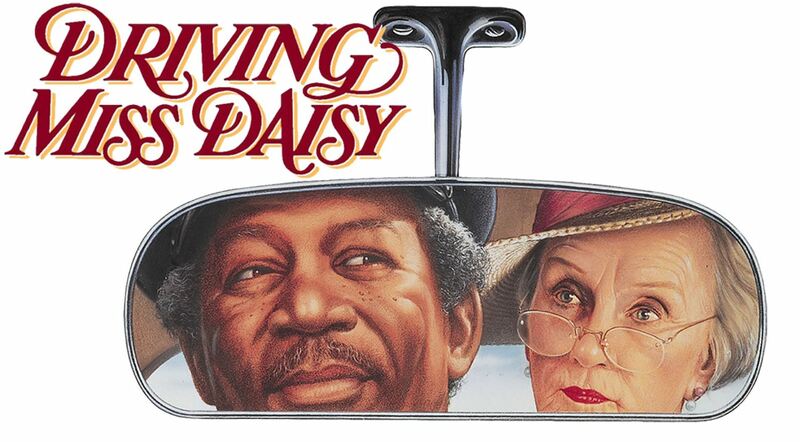 Driving Miss Daisy is all about the drama and memorable moments that Daisy Werthan (Jessica Tandy) faces. It is also in a traditional structured suburb (Atlanta) setting this is in 1940 and early 1950s. If you notice this is after the civil right movement. Daisy life is intertwined with Hoke Colburn (Morgan Freeman), who is just a mere driver. The movie begins with Daisy who is 60 years old almost in an accident. Many companies do not want to insure the accident. Boolie (Dan Aykroyd) who is the son and the heir of the textile firm is worried and decides to get her driver who will drive her around. This is where Daisy and Hoke meet. Hoke is also elderly and we dare say he is almost her age. Daisy is a stubborn lady, she does not want a driver, and she wants her independence. This movie gives and illustrate Daisy and Hoke relationship. There must be a reason it won the award on 1990, it has an in-depth research on the characters especially the two main characters. The actor and actress did not disappoint they have played their role in accordance, at some point you could not help but just laugh when watching the movie. The character actually contrast with each other, Daisy is a Jewish lady and has her beliefs and Hoke is an African American. Daisy is wealthy though she did not begin this way, she has struggled to get where she is and this shows you that this lady is a go getter, and very persistent and definitely independent. Hoke on the other side is not really wealthy but from the movie you can tell he is grateful of what he has achieved. He is this guy who is always calm and patient. Even without mention you can tell there will be antagonism between the two. I tend to think Hoke’s character is what that allows them to form a bond, in fact this bond becomes very strong. This film was able to deliver perfectly the gradual bonding this is through depicting some small but cherish able moments. Their bond beats all the odds, including racism. If you continue watching, you notice she does talk against discrimination and racism. Without say it had good graphics as well as an interesting storyline worth watching all the time. It gives a clear picture on personal relationship that are affected and influenced by the society. It also shows the dynamics of the society. Driving miss daisy is emotional and it gives you a bone to chew and think of what has been experienced, and how a bond can thrive through all this odds. It is a must see, don’t forget to check it out. Copyright © 2019 www.daisywestend.com. All rights reserved.